Join us for a relaxing and unforgettable stay at the Best Western Newark Airport West hotel. Our Newark Airport hotel is more than just your average airport hotel – we provide complimentary breakfast, Wi-Fi and a shuttle to the airport. Our hotel rooms are the closest in the city to Newark Airport, so you won’t have to worry about missing an early morning or late night flight. 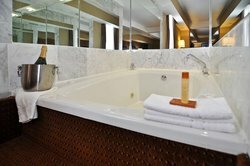 For a little added luxury during your stay with us, book a King or Queen Whirlpool room and soak in the tub after a long flight or a day of exploring New York City. 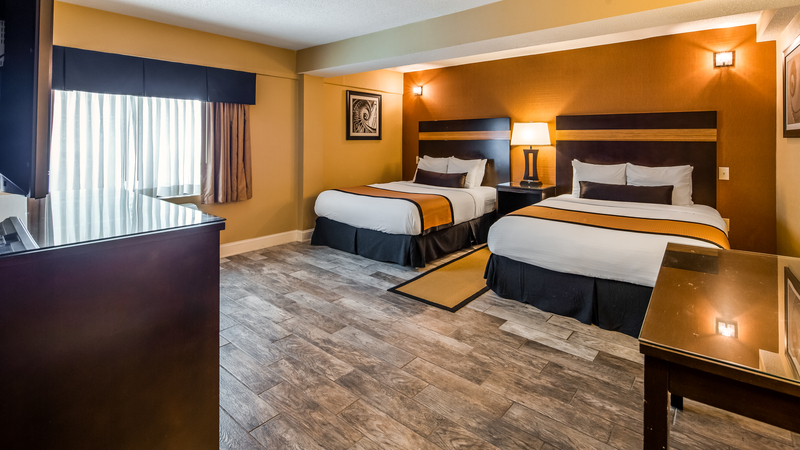 We offer all guests access to free high speed wireless internet, and all rooms come equipped with a flat screen television, microwave, mini-fridge, bathroom amenities, and more! If you need somewhere to park your car while you are away and you are flying out of Newark Airport, book a one night stay with our Newark hotel and you can park your car for free for up to ten days! See our Park and Fly promotion for more details. If you are heading out for a cruise, our hotel is happy to provide guests with a shuttle to and from the Cape Liberty Cruise Port in Bayonne, NJ. This package includes round trip transfers to and from the port. If you have any further questions, don’t hesitate to reach out – we’re happy to help! Enjoy a relaxing whirlpool right in your room! With two welcoming queen beds and a sitting area, you'll have plenty of space to take it easy and watch premium channels on a flatscreen TV. Unwind before or after a flight in deluxe comfort! Bring the whole family along on your next trip to Newark, NJ in our comofrtable Family Double Queen room! Upgrade yourself during your hotel stay at our Newark Airport Hotel by booking one of our luxurious whirlpool rooms which feature large whirlpool tubs where you can take a bath and relax. After a long day of work or visiting New York City, you will appreciate this little added luxury. 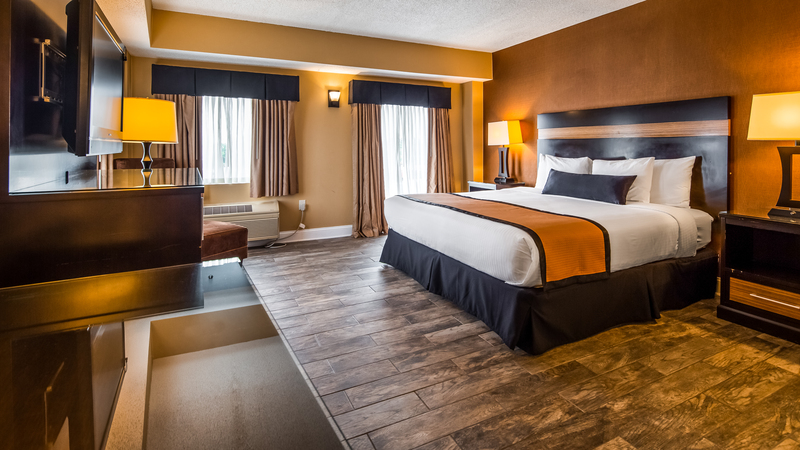 Treat yourself to a little added luxury during your next stay at our Newark hotel by booking a King Whirlpool Room. In the evening, soak in the tub and de-stress after a day of sightseeing in New York or business meetings. What are you waiting for – you deserve it. 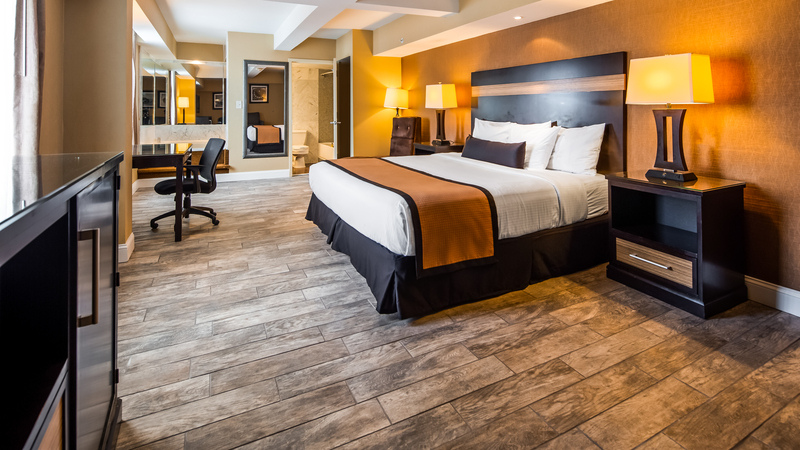 Relax in luxury in a King Room at the Best Western Plus Newark Airport West hotel, just a few minutes from New York City. Our King Rooms come equipped with flat screen TVs, complimentary high speed wireless internet, refrigerators, and microwaves. This spacious room is perfect for busy groups, with lots of room for everyone to stretch out and relax. Watch TV on the entertainment console with movie channels and more. Two deluxe queen beds will ensure a peaceful night's sleep. Relax after a busy day spent exploring the sights and sounds of NYC in our spacious Double Queen Room! Whether you are at the hotel for business, or if you are planning to go sightseeing in New York City, a Queen Room at our hotel in Newark is a fantastic, affordable option. Our Queen Rooms have plenty of space amenities – including complimentary breakfast and high speed Wi-Fi! Relax in our Queen Room! 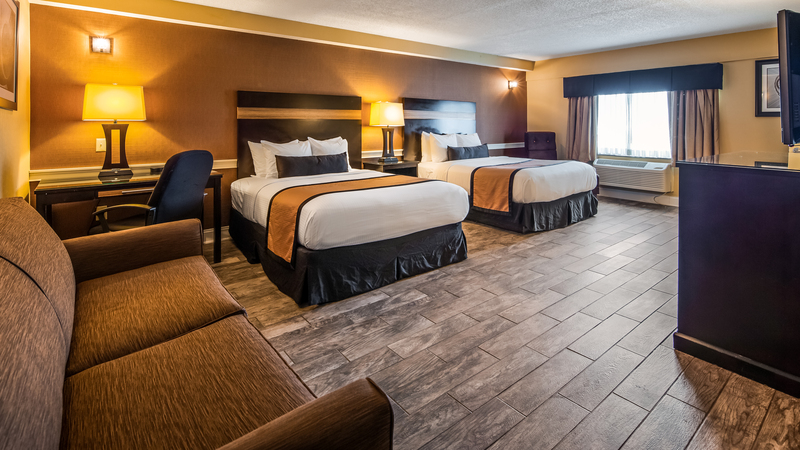 Unwind in our comfortable Queen Room during your next trip to Newark! If you have just gotten in from a long flight to Newark, spend the night with us in a King Room and enjoy all of the best amenities and services in a fantastic location very close to New York City. Join us in the morning for complimentary breakfast before you head out to start your day. Feel comfortable and at home at our airport hotel in Newark. 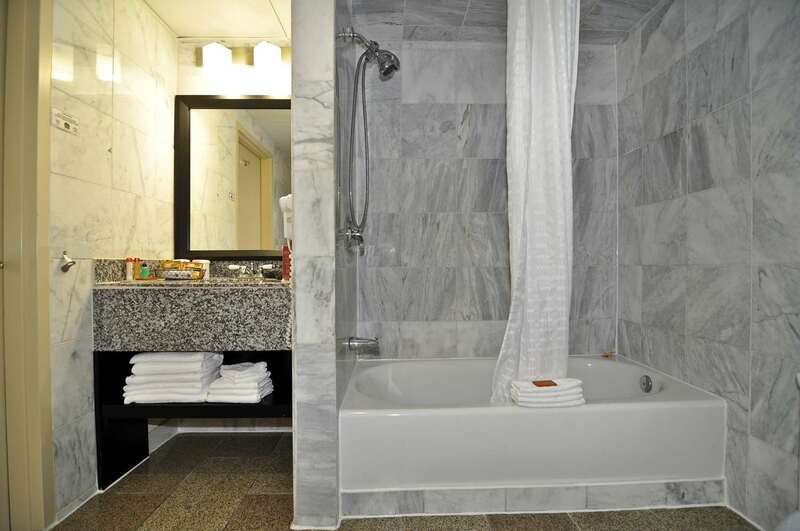 All of our beautiful bathrooms come equipped with the toiletries and amenities you’ll need. Upgrade yourself to a Two Queen Whirlpool Room. Each of these rooms has two queen sized beds and a luxurious Whirlpool tub so you can relax after a long day on the town. Sleep up to six guests with a pull out sofa!